International PR industry commentator Stephen Waddington had both praise and a challenge for AMEC in his look at Public Relations for 2017. Waddington, Partner and Chief Engagement Officer at Ketchum writing in his blog, had this to say about AMEC’s new Integrated Evaluation Framework. 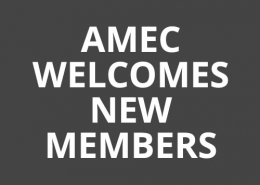 “In the last five years AMEC members have worked hard to create a framework that helps practitioners define a direct relationship between the objectives of a public relations campaign and the outcomes. “The Integrated Measurement Framework guides practitioners through a series of seven steps to create a measurement approach for a campaign. “It was launched last year with a comprehensive website of resource material and an interactive tool to steer practitioners through the process. “It has become a standard at Ketchum. 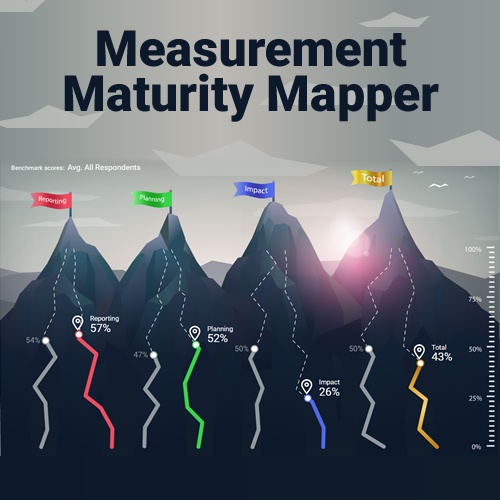 Every conversation around measurement within the business is framed around the Integrated Measurement Framework. “Best of all it’s free. There are no excuses and I guarantee the return on investment of you implementing it will be high. 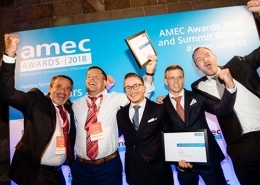 AMEC launched the new PR measurement framework at its Global Summit on measurement in London last year to instant acclaim from the PR industry. The new measurement Framework uses digital technology to help the user through a step-by-step process which “operationalises” and shows how to implement Barcelona Principles 2.0 and links organisational objectives to comms objectives, outputs, outtakes, outcomes and organisational impact. The Framework measures across all P.E.S.O. channels. 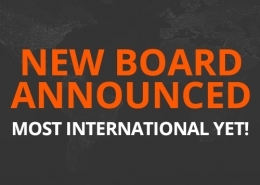 Download and circulate the press release to company and industry colleagues. See the Integrated Evaluation Framework special resource centre. 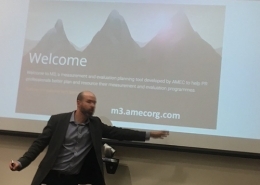 The new AMEC Framework was developed as an interactive tool to deliver a step-by-step user process with tool tips for information and follow-on resources for the user. The digital team at LEWIS created the tool as a pro bono initiative on behalf of AMEC. It is also compatible with the thinking of the UK Government Communications Service with whom AMEC has a strong relationship for “taking measurement mainstream”. Richard Bagnall, CEO of Prime Research UK and Chairman of AMEC, led the working group which developed the tool. A key part of the development work was the contribution of Jim Macnamara, Professor of Public Communication at the University of Technology, Sydney and the feedback of the AMEC Academic Group he chairs for AMEC. 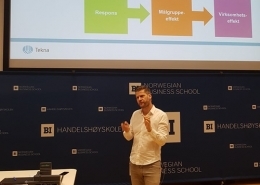 As a result the Framework incorporates business process measurement techniques ensuring that communications can now be measured using the language of business. Reaction has been overwhelmingly positive from the communications research and PR industry. David B. Rockland, Ph.D., Partner/CEO, Ketchum Global Research & Analytics and the Immediate Past Chairman, of AMEC, said: “I think this new interactive tool is fantastic and a hugely valuable tool to the industry. Francis Ingham, PRCA Director General & ICCO Chief Executive, said: “This new approach from AMEC is exactly what the PR industry has been waiting for. Alex Aiken, Executive Director of Government Communications, UK Government, said: “Evaluating communications effectiveness has never been more important. Across the UK Government, the AMEC Barcelona Principles have helped us to make sure we are measuring what matters. The Barcelona Principles need to be applied in practice so I welcome this new AMEC Interactive Framework which brings these Principles to life in a user friendly way. Measurement Month – 2017 dates confirmed What does President Trump’s communications style mean?